Blacker Hall Farm Shop01924 267202work Shop - FarmBlacker Hall Farm Shop opened its doors to the public October 1999 in Calder Grove, near Wakefield. The Garthwaite family, with more than 300 years of farming behind them, broke the mould of their forebears and ventured wholeheartedly into the realms of retailing. 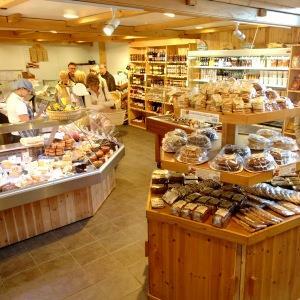 Offering a vast range of fresh meat direct from their own farm, freshly baked bread and baking, the family run farm shop has quickly become renowned for its exceptional quality fresh produce. Blacker Hall Farm Shop has been voted the Nation's Best Farm Shop by the Meat Trades Journal Topshop Awards, Best Farm Shop in Yorkshire by the Yorkshire Agricultural Society, and producer of England's Best Roast Beef. Blacker Hall Farm Shop opened its doors to the public October 1999 in Calder Grove, near Wakefield. The Garthwaite family, with more than 300 years of farming behind them, broke the mould of their forebears and ventured wholeheartedly into the realms of retailing. In 2014 Blacker Hall Farm Shop celebrated its most successful year after receiving numerous accolades. Blacker Hall was voted Retailer of the Year at The Farm Business Food and Farming Awards in December, in March they were awarded UK's Best Farm Shop by FARMA and in September Yorkshire Life and their readers voted Blacker Hall 'Farm Shop of the Year'.